June 17, 2018 was a historic day for both historic preservation and urban revitalization in Detroit, Michigan. 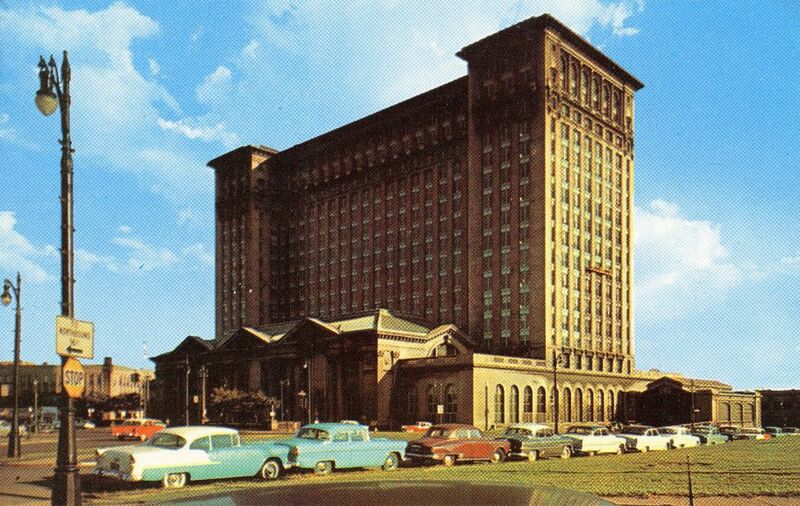 On that day—during the week that company celebrated its 115th anniversary—Ford Motor Company acquired the iconic Michigan Central Station. In recent years, there’s been no shortage of news about the comeback of downtown and midtown Detroit, especially here in REVITALIZATION. But this is probably the most significant single announcement yet. 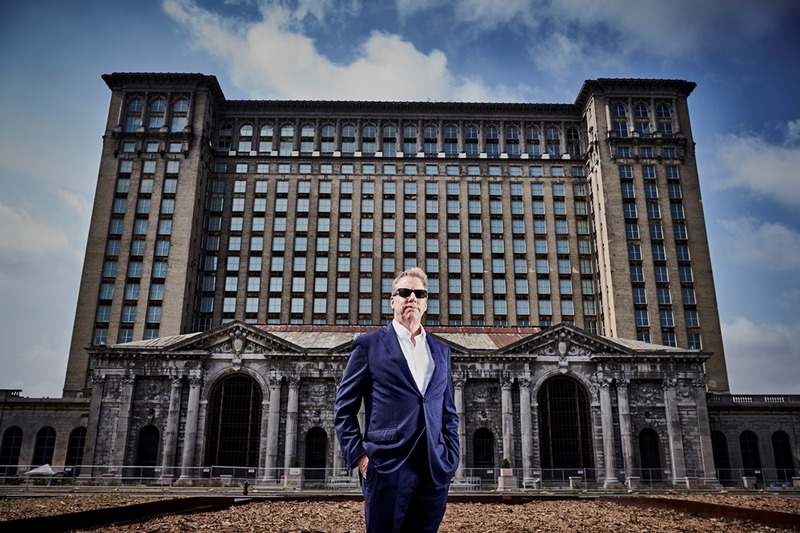 Bill Ford at Michigan Central Station. At its peak, trains bustled in and out of the station and served approximately 4,000 customers per day. But what had once been a symbol of Detroit’s rise to world-class city status has for decades been an icon of devitalization; a relic of past glory. And what better new owner than Ford: the company that triggered Detroit’s rise to eminence? 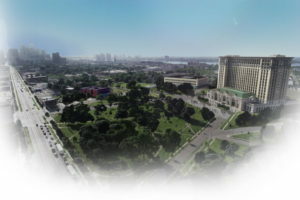 Ford’s plans for the station to include restoration of the grand hall to its original luster; attraction of local shops and restaurants; and creating new residential options in the up-and-coming neighborhood. The station will serve as a public space for people to enjoy, with more details to come in the future. Ford says they engage Corktown residents and businesses to make certain their redevelopment efforts align with the historic nature of the community and complement other planned developments to revitalize the neighborhood. 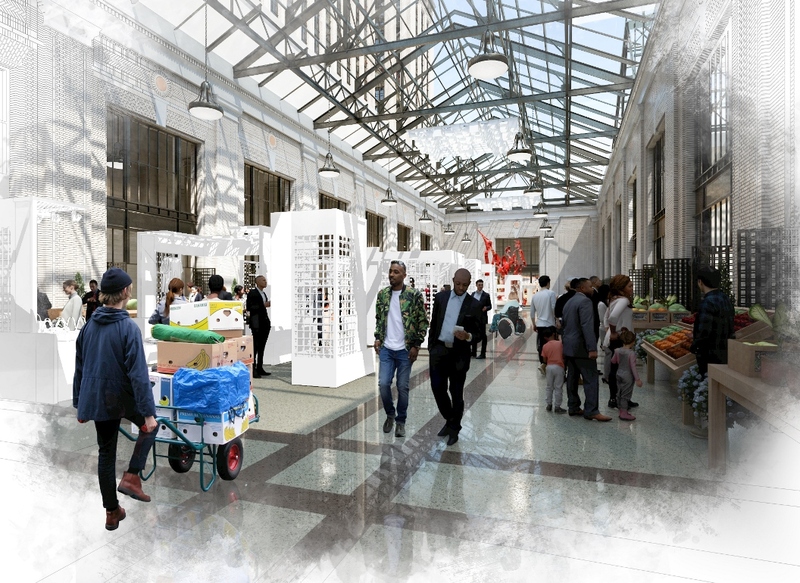 Besides restoring the station, Ford will repurpose it into the centerpiece of a vibrant new campus in Detroit’s Corktown neighborhood. The goal is for it to serve as an innovation hub for Ford’s vision for the future of transportation. The campus will comprise approximately 1.2 million square feet of property in Corktown. This redevelopment will enhance the neighborhood with a mixed-use space including office and retail space, and some residence. Initial plans include locating approximately 2,500 Ford employees, most from the mobility team. They will start calling Corktown their work home by 2022. 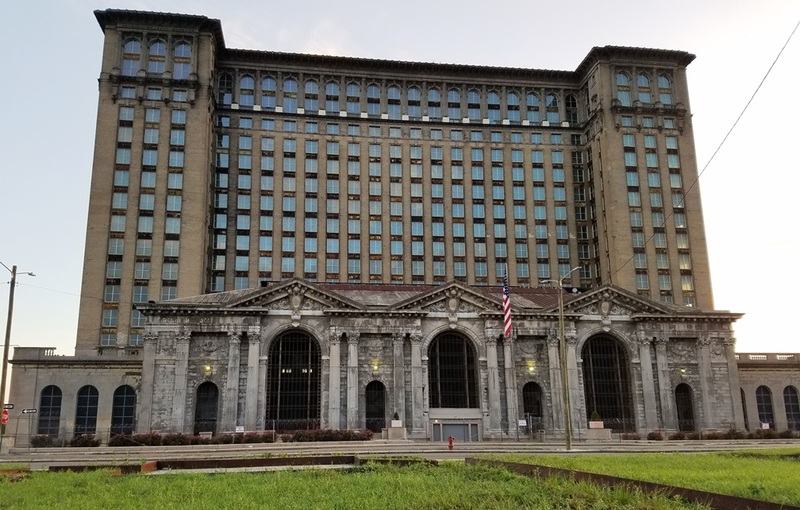 There will also be space to accommodate 2,500 additional employees of partners and other businesses amongst Michigan Central Station and the other redevelopment projects. In recent years, the haunting hulk has been used as the backdrop for a variety of movies, such as “Batman v Superman: Dawn of Justice” in 2016, “8 Mile” in 2002 and “Transformers” in 2007. Ford’s Highland Park plant helped create America’s middle class. At Willow Run, Ford workers built the planes and tanks that helped win World War II, setting the stage for American prosperity. Generations of families have worked at the 100-year-old Rouge factory, putting the world on wheels and helping grow the middle class. 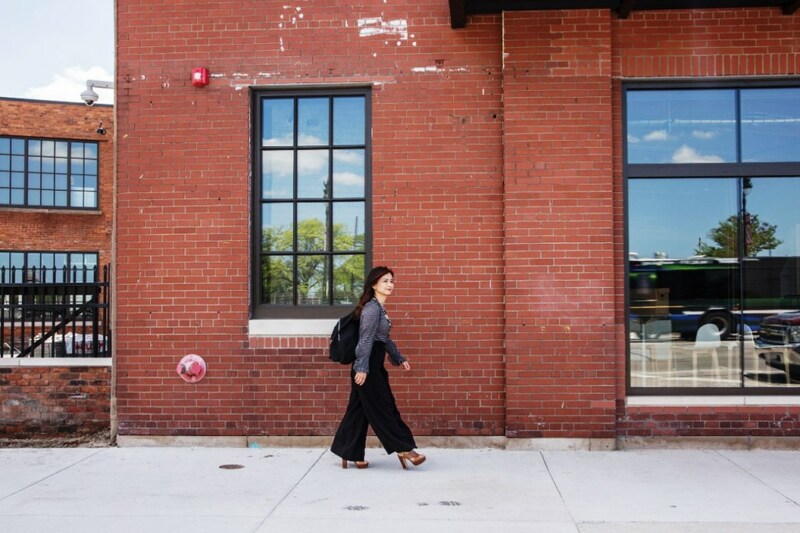 Now, as the company ushers in its next era, Ford adds Detroit’s Corktown neighborhood to that transformative list. The acquisition of Michigan Central Station comes alongside the company’s purchase of the former Detroit Public Schools Book Depository, two acres of vacant land, the site of an old brass factory and the recent purchase of a refurbished former factory in Corktown. Ford is moving its electric vehicle and autonomous vehicle business teams into a refurbished former factory. Here, Pei-Wei Hsu walks outside the facility. This new Corktown campus will be a hub where Ford and its partners will work on autonomous and electric vehicles, and design urban mobility services and solutions that includes smart, connected vehicles, roads, parking and public transit. 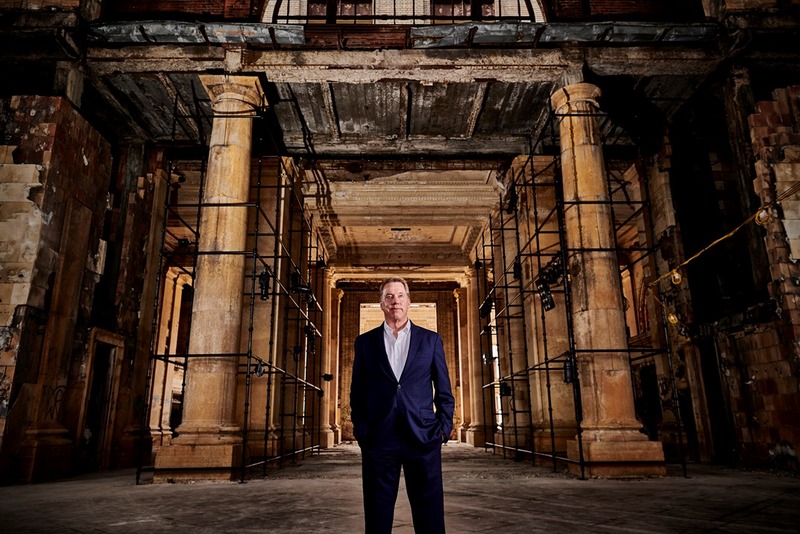 “Michigan Central Station is a place that in many ways tells the story of Detroit over the past century,” said Bill Ford. “We at Ford want to help write the next chapter, working together in Corktown with the best startups, the smartest talent, and the thinkers, engineers, and problem-solvers who see things differently – all to shape the future of mobility and transportation,” he continued. Workers inside the refurbished former factory in Detroit’s historic Corktown neighborhood. Ford plans to have at least 1.2 million square feet of space in Corktown, three-quarters of which will be split between the company and its partners. 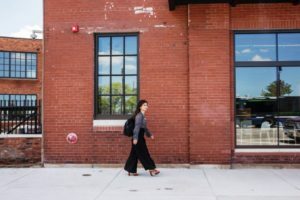 Approximately 2,500 Ford employees, most from the mobility team, who will call Corktown their work home by 2022 – with space to accommodate 2,500 additional employees of partners and other businesses. 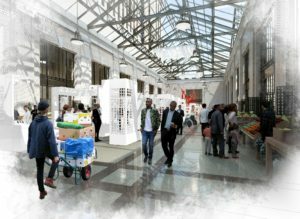 Rendering of station’s renovated Market Hall. The remaining 300,000 square feet will serve as a mix of community and retail space, and residential housing. This project is supported by our strong partnership with state and local government officials. At the same time, Ford is continuing with its Dearborn Campus Transformation plan that started in 2016. This summer the 150,000-square-foot Wagner Place development in West Dearborn is on track to open, as is a new driving dynamics lab located on Ford’s Product Development Campus. The 10-year Dearborn plan will also continue to bring key work groups closer together, including the company’s product development teams to one campus. It should be noted that this is actually Ford’s second major effort to revitalize Detroit. Almost 50 years ago, Henry Ford II (Bill Ford’s uncle) was CEO. He decided to help rejuvenate the downtown, which had been emptied of many residents during the “white flight” following the tragic race riots. To accomplish this, Henry Ford II—with local business leaders—formed a non-profit partnership called Detroit Renaissance in 1970. Photo by Crisco 1492 via Wikipedia. That partnership built the Renaissance Center, where Ford retained offices for about 20 years. 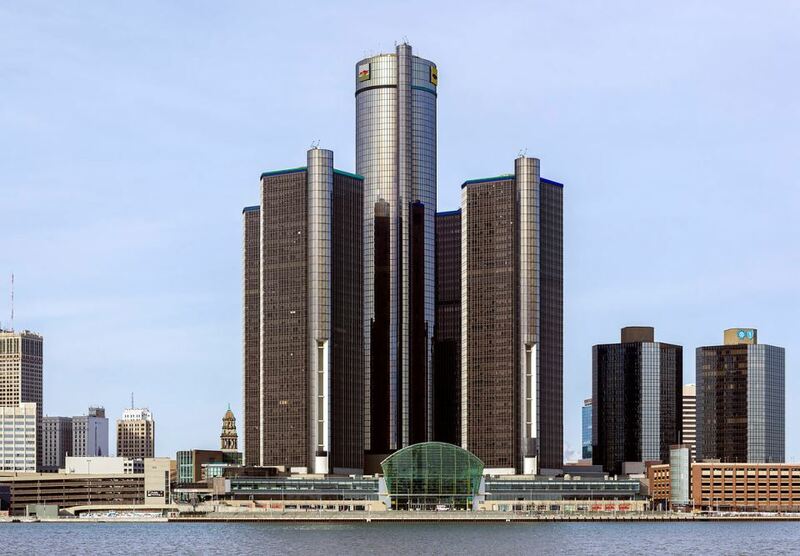 the Renaissance Center is still a key element of the Detroit skyline, but simply adding a building was too simplistic a strategy to affect revitalization, as any reader of the Resilient Prosperity Guide knows. So, that hoped-for downtown revival never happened (until very recently). 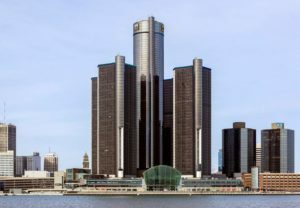 The Renaissance Center was ironically purchased in 1996 by arch-rival General Motors in 1996, and it’s now their global headquarters. As cities cope with booming populations, aging infrastructure and new technology, the way people move is changing rapidly. Rather than simply integrating new technology into an aging transportation system, Ford’s vision includes a fresh approach for how the overall transportation system can benefit from new ideas that help people lead better and more productive lives. The future of transportation requires more than new vehicles – or even self-driving vehicles. It requires smart vehicles that can communicate with an increasingly smart and connected world. That’s why Ford is developing a Transportation Mobility Cloud – an open platform that manages information flow and transactions between different services – to help cities optimize their various modes of transit. The company is also committed to ensuring vehicles can communicate with tech-enabled surroundings to reduce CO2, lower congestion, and improve safety. 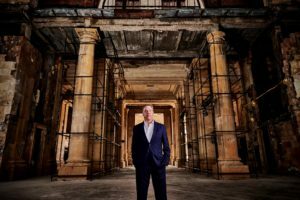 Bill Ford inside the derelict station. 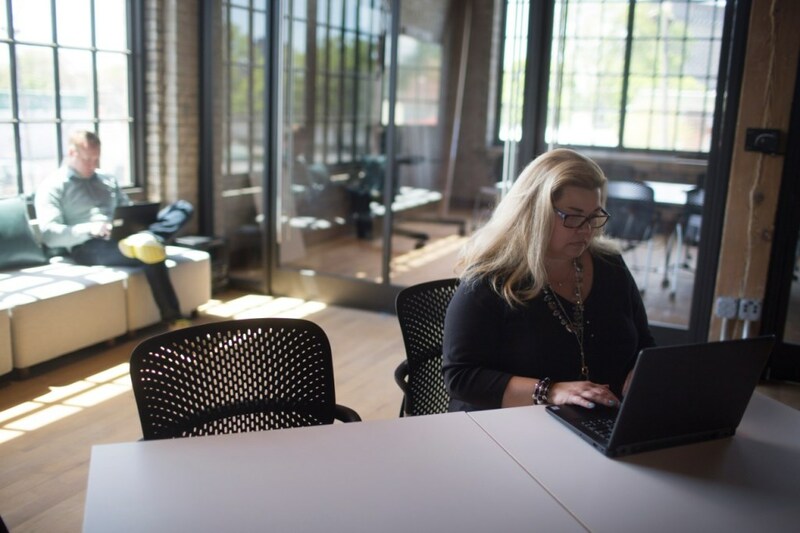 In Corktown, Ford’s efforts can come together in an urban environment, proving-out technology in the same environment where new ideas must be applied. This campus has the potential to help return Detroit to being the “mobility capital of the world” – shaping the future of transportation for the better. 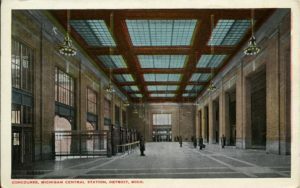 Michigan Central Station, designed by the same architects that designed New York City’s Grand Central Station, was the main intercity passenger rail depot in Detroit. With a train depot and 13-story office tower with a roof height of 230 feet, it was the world’s tallest rail station when constructed. 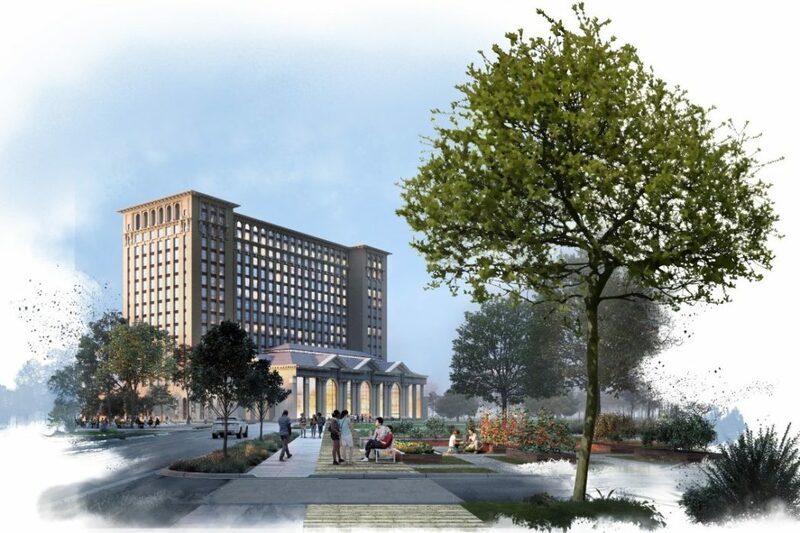 Snøhetta was chosen to design Ford’s research campuses in Detroit and Dearborn, including Michigan Central Station. Rendering via Ford. Built for the Michigan Central Railroad on 50 acres of land they acquired for the purpose, it replaced the original depot in downtown Detroit, which was shuttered after a major fire in December 1913. That was convenient, since that depot (located at Third and Jefferson) could no longer accommodate the railroad’s growing business. 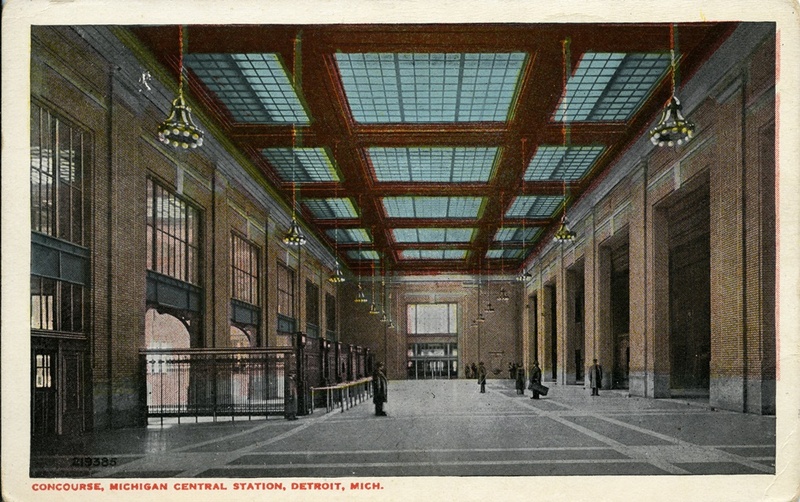 The first train left Michigan Central Station for Saginaw and Bay City on December 26, 1913. That same day, the first train arrived from Chicago. Formally dedicated on Jan. 4, 1914, the station remained open for business until the cessation of Amtrak service on Jan. 6, 1988. Exhibit: Curated in partnership with the Detroit Historical Society, an open and airy exhibit allowed guests to explore the rich history of Michigan Central Station and Detroit through visuals, text and artifacts, while taking in the grand architecture around them. The exhibit included pieces from local artists who capture the spirit of Corktown today. Self-guided tour: Visitors had rare access to the entire first floor of the train station with a self-guided tour that showcases images of what the train station once was, juxtaposed with how it looks today. 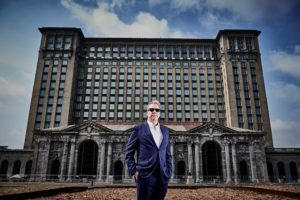 Documentary preview: Visitors got a first-look at “Detroit: Comeback City,” a HISTORY documentary that charts the mutual rise, fall and rise again story of Detroit and Michigan Central Station in the words of real Detroiters. The documentary debuted at 9 p.m. eastern July 1 on HISTORY. Community Area: Ford is hosting community engagements in partnership with the Ford Fund inside the station, highlighting local artists, entrepreneurs and the youth from Corktown. Activities included live mural making with Corktown artists and a student STEAM lab. A sight that few in Detroit will miss: the forlorn, derelict station. Photo by Storm Cunningham, taken in 2017 during a week of work he did for the Michigan Association of Land Banks. Ford’s current Corktown revitalization strategy seems far more likely to succeed than their earlier Renaissance Center effort. That’s because it reflects the 3Re Strategy: repurposing, renewing and reconnecting the neighborhoods built, natural, and socioeconomic assets. If resilient prosperity doesn’t emerge in Corktown, it will probably be because city and corporate leaders didn’t focus sufficiently on that socioeconomic aspect. This initiative should attempt to break new ground in terms of inclusiveness and economic equity. Otherwise, the poverty and racial strife that has undermined revitalization efforts of the past will likely do so again. Unless otherwise credited, all images are courtesy of Ford Motor Company.